This post may contain affiliate links. See my affiliate disclaimer for more information. Pin this article for reference! If you’ve landed here, chances are you’ve seen it. The mass exodus of people from their stable homes and jobs taking up the RV, Van and Bus life. Thousands of people each year are trading in their jobs, homes and belongings to literally take the roads less traveled: living out of a vehicle on the road. 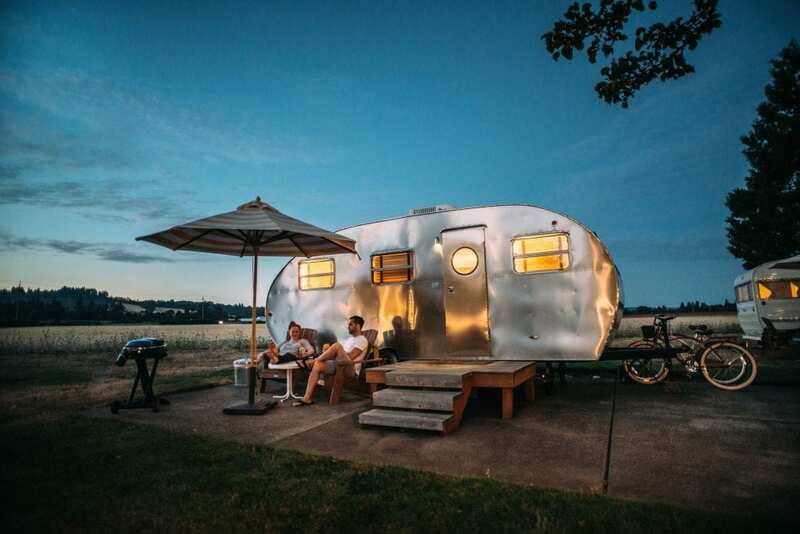 No longer aligned with the “standard american dream”, these restless wanderers and vagabonds have plans for their lives that don’t include a 9-5 and a white picket fence. With so many people willing to risk it all for a life of travel, you have to wonder: how in the WORLD are they doing it? If you’re anything like I was and one of your biggest, burning questions is how to make money on the road, you’re in the right place. I’ve outlined various ways to learn how to make money on the road for all different skill sets and personality types – these are the very things thousands of modern day nomads do to support their wanderlust life. Before moving forward, I want to explain a little bit about active income versus passive income. You may have heard the phrase “passive income”, as it’s a pretty commonly talked about thing in online business and investing, and highly sought after. Active income is income that you actively work for, pursue, or trade time for money. This includes anything from jobs to freelancing and is how the vast majority of the world earns money. Passive income is different – it’s money that you make in your sleep. Sounds too good to be true, right? Well, the definition isn’t exactly forthcoming. In order to build up a stream of passive income, it typically requires a lot of work in the beginning for no money at all. Passive income streams include investment dividends, money from advertising on a website, money from affiliate marketing on a website, and so on. Many travelers, myself included, have a variety of income streams that are active and passive. Diversifying your income streams will allow more freedom and opportunity for you in the future. If you’re looking for a way to get-rich-quick or a simple and easy way to learn how to make money on the road, you’re wasting your time. 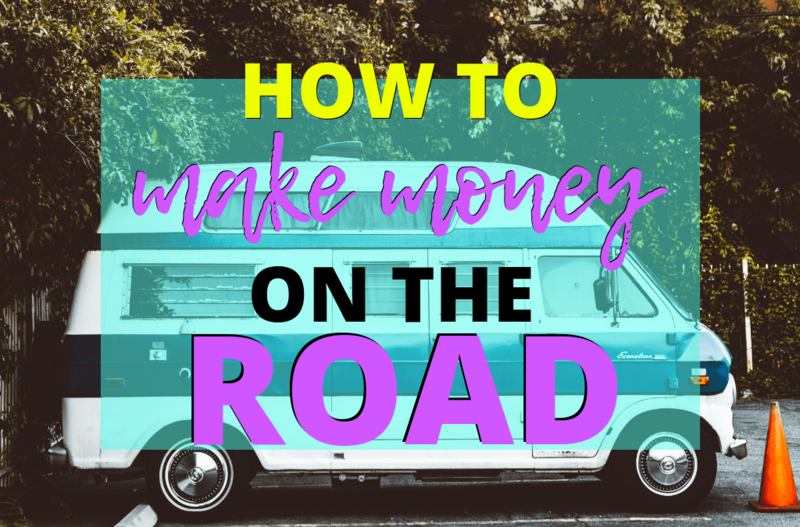 While some of the ways to make money on the road listed here are easier and quicker to set up than others, you will still have to put work in. Whether you’re doing physical labor or taking time to sit at the computer, learn new skills and put them to work, this will require your time and dedication. But like anything else, it’s not impossible, and you can totally do it! Freelancing, or independent contracting, is how many people get started when they are learning how to make money on the road. Freelancing is a catch-all term for basically everything under the sun. As a freelancer, you could do customer service, data entry, website design, admin tasks, writing, and marketing, just to name a few. This is a great way for beginners to get started as there is a low barrier to entry and it doesn’t cost anything to get started. Learn more about freelancing here. If you are a hearing person and a decent typist, learn how to make money on the road as a transcriptionist! A transcriptionist listens to audio recordings and types it out into a document. This work can be done from anywhere, with or without an internet connection. Many different types of industries need transcriptionists, and you can work on your own time. These industries include law enforcement, attorneys, insurance companies, journalists, entertainment companies, teachers, authors and more. Transcription is easy to learn and doesn’t require any degrees or certificates, just the ability to hear and type. To learn how to get started, check out the free mini-course taught by Janet at Transcribe Anywhere. If you make handmade goods or have an eye for things of value, you can make money on the road selling on Etsy. My friends Kyle and Olivia from Drivin & Vibin got started out selling on Etsy. They started selling vintage clothes, books, toys, and furniture – but to make their lifestyle mobile they downsized to specialty items: antique maps and prints. Traveling is a fantastic way to source unusual items to sell on Etsy, as you’re in a new place all the time. Proofreading is a fun mobile-income idea that requires no startup skills other than knowing proper English and grammar. If you love reading, it’s a major plus! Learning how to make money on the road with proofreading isn’t very hard if you have a good eye for spelling, grammar and punctuation. Proofreading is a primary source of income for many people, and tons of industries need proofreaders. Just about anytime there’s text anywhere online or offline, a proofreader went over it first. If you’re interested in learning how to become a proofreader, check out this free training taught by professional proofreader Catilin Pyle. She teaches how to build a location-independent proofreading business and start getting clients here. Surveys aren’t going to get you rich quick or ever, but they are a way many people earn extra money online. If you want to know how to make money on the road with side hustles, surveys are a viable one. By performing repetitive tasks like answering questions, reviewing advertisements and more, you can earn a few dollars to be paid out through Paypal or with gift cards. Signing up for many survey websites is recommended to maximize your earning potential. Virtual assistants are highly sought after and can be highly paid. A virtual assistant can mean almost anything: a person who helps a business or entrepreneur with admin tasks, customer service, email, data entry, personal tasks, website design, writing and more. Chances are you have skills from a previous job or hobby that you could turn into a business as a virtual assistant. 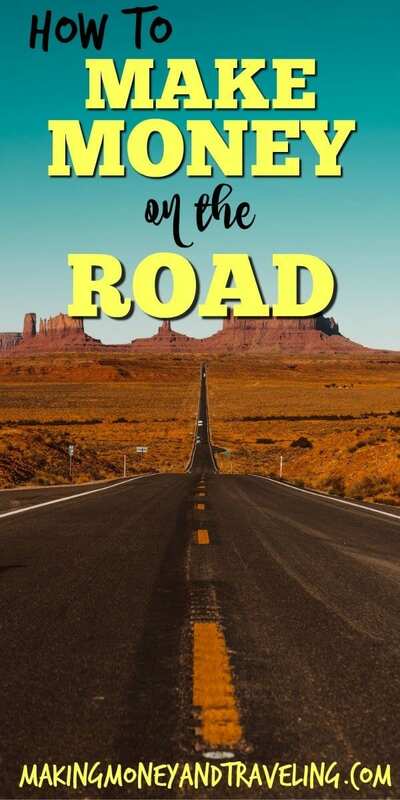 A virtual assistant can work from anywhere they have connection making this an awesome option to make money on the road. I see many photographers asking how to make money on the road – and as a photographer you already have a hobby that can pay! If you have a passion for photography, you can make a decent side income by selling your photos online. There are many different stock websites you can list your photography for sale, and each time someone purchases, you will make a commission. Click here to read more about selling your photography online. I’m assuming you speak English since you’ve made it this far, and if you like kids then teaching English online might be for you! VIP Kid is a program where you can sign up to teach kids in other countries English via video chat. Earning potential is from $14 to $22 per hour, and you choose your own schedule, click here to learn more. Retail arbitrage is a popular type of income for many RVers! Retail arbitrage is where a store sells an item (usually on sale), you purchase it and then sell it for a higher price, pocketing the profits. This is especially good for travelers because as you’re traveling around, you get to visit stores in many different towns with varying inventories. It’s very popular to do this with Walmart and Target and then sell it on Amazon. If you’d like to learn how to make money on the road with retail arbitrage, check out The Selling Family, who have been doing retail arbitrage for more than 5 years on Amazon and earning more than $10k per month consistently. They have plenty of free resources to learn more! Dropshipping is a great business for travelers because it requires only a small amount of money to start up and you hold ZERO inventory. With dropshipping, you locate products that you’d like to sell from wholesalers who offer deeply discounted prices. You then create a website to sell those products to the public at a markup of usually 3x the amount you pay. When a customer orders from you, you turn around and send their address and order information to the warehouse. They process the order and ship it to the customer, and you keep the profits. This is a very popular business model and has great money-making potential. You’d need to learn marketing and advertising to have success with dropshipping. 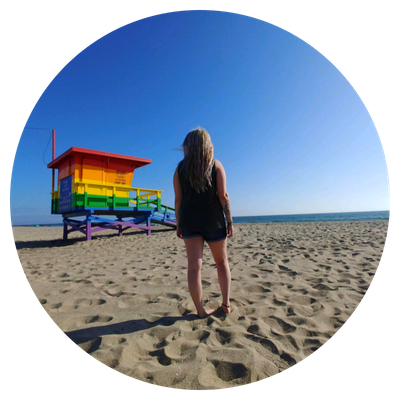 Starting a blog is a great way to earn money while traveling! You can combine your passions and write about what you love while working on it from anywhere you have an internet connection. A blog is one of those things that takes more time and effort on the front end, but it can pay off exponentially. A former full-time RV traveler turned sailor, Michelle Schroeder-Gardner, consistently earns over $100k per month from her blog, Making Sense of Cents. That’s more than a million dollars per year… FROM BLOGGING. If you want to start your own blog, check out my How To Start a Blog guide here. Affiliate marketing is one of those passive income opportunities that require some work to get set up, but once you have everything in place you can earn money well into the future, with minimal upkeep. This is a really desirable way to make money on the road as once it’s set up, it requires minimal upkeep. Affiliate marketing is when you recommend a product or service to someone, they purchase through your affiliate link that the brand gives you, and you make a commission off of the sale. It doesn’t cost the customer anything extra, and the earnings potential are almost unlimited. You can promote affiliate links through a blog, on your social media, or through a dedicated website that you send traffic to. Pretty much every company you can think of has some kind of affiliate or referral program. Physical product companies, like Amazon, only pay around 4% of the sale. Digital products like software, courses, and even ebooks have a much higher commission percentage on average: anywhere from 20% to 70%. To become an affiliate marketer, skills you would need to learn include marketing and advertising. Do you have an eye for website design? Learn how to make money on the road designing websites! Website design is a highly paid and sought after skill and it’s a pretty easy one to learn. These days, you don’t have to learn coding or programming to build a website. With systems like WordPress, Wix, Squarespace, and others, building a website is easy-peasy. As easy as it is, it still intimidates a lot of people, and some people just don’t have the time or care to learn. There are unlimited resources to learn how to build websites on WordPress and related software on YouTube. This is something I started doing when I first started traveling that I never had any idea I would even be good at, and it’s something I continue to do to this day. I never thought I had a good eye for design and I didn’t know how to use any professional graphic design software, but I found Canva and my life was changed! Many brands will hire someone to design logos and social graphics like memes and quote images to share across their social media pages. Canva is free – so you can start playing around with it today. Do you have any hobbies or skills that you’re passionate about? You might have to think hard about this one – because often when things come naturally to us it’s easy to forget that they don’t come as naturally to other people. Chances are you have some kind of specialized knowledge. Whatever it is, you can write a short ebook to publish on Amazon/Kindle and start making some passive income. What’s awesome about self-publishing an ebook on Amazon is that they have millions of customers browsing and visiting the site daily, a great way to get lots of eyes on your work. Another way to share your expertise with the world, creating and selling courses is an excellent choice to create a stream of passive income to make money on the road. Once you do the work, it’s done and you can sell it for years to come. You can create a course about anything: specialized skills, carpentry, plumbing, crocheting, guitar, and the list goes on and on. If you have a skill or hobby that someone has ever asked you to teach them, chances are there are thousands of people on the internet googling the same exact thing. You can publish a course on Udemy – an online education platform with over 10 million users. Are you someone people often come to with their problems or do you find yourself giving out life or business advice often? There is a large market for life and business coaches, and if you like helping people this might be for you. If there’s an area of life or business that you have experience in that others struggle with, you can help by becoming a coach. Life and Business coaches mentor people through problems in life or business for a fee – because you deserve to be compensated for your advice, and people are more likely to take coaching seriously when they are financially invested in it. There are companies who hire humans to evaluate websites, search engine results and advertisements. As a website evaluator, you will look for things like search result accuracy, ease of use of the websites and more. Leapforce, Lionbridge, and Appen are all popular places for this kind of work. This is a great way to make money on the road since all you need is a laptop and internet connection. Micro-tasks are small tasks (like surveys) that you perform online for a small amount of money. These types of tasks aren’t going to make you rich but are good side hustles to make money on the road with. Microtask platforms that you can sign up for include Clickworker, Mturk, and Swagbucks, just to name a few. This is a path that has a longer road than others, but also a very high payout for those who stick with it. If you like computers and problem-solving, learning to code is an excellent way to ensure you will never have a problem finding high-paying remote work. Coders, aka web developers, software programmers, etc. are in high demand and will continue to be for years to come. Read more about how to make money on the road as a coder here. For many people, having a job with an employer is a desirable option, and many companies are seeing the value of adding remote workers to their teams. In fact, when most people are learning how to make money on the road, looking for remote employment is a first choice. In a remote work situation, you would have a typical work schedule as determined by your employer and access to benefits like health insurance and 401k. You can search for remote jobs on job boards like Indeed, Monster and FlexJobs by searching the keywords “remote” “telecommute” or “work from home”. Workamping is what it sounds like: work camping. Workamping is one of the most popular ways to make money on the road for RVers. Generally done at RV parks, resorts and campgrounds, workampers do a variety of different types of work. From office work to carpentry or general labor, there is a workamping position for anyone. Generally, workamping positions offer free campsites, but a lot of them pay as well. 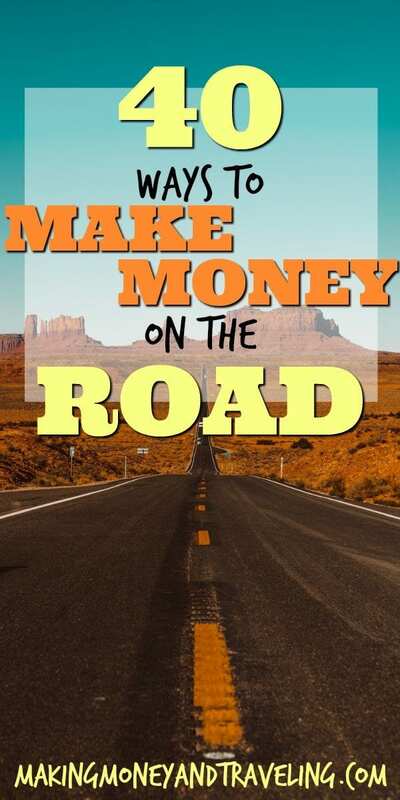 Learn how to make money on the road with Workamping here. If you like to follow the good weather, you can make money on the road as a tour guide in popular destination locations. Tour guides generally work seasonally and you’ll have the opportunity to learn a lot about a place while meeting cool people and making money to fund your lifestyle. 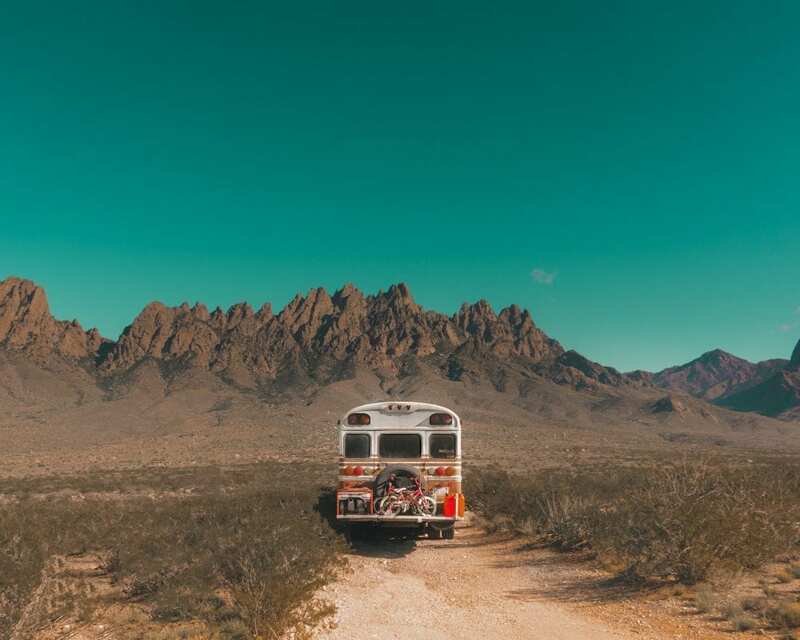 As a mobile RV technician, you’ll have the opportunity to make good money on the road and help out people in the nomadic community with their RVs. If there’s one thing I know to be true about RV life: things break. A lot! 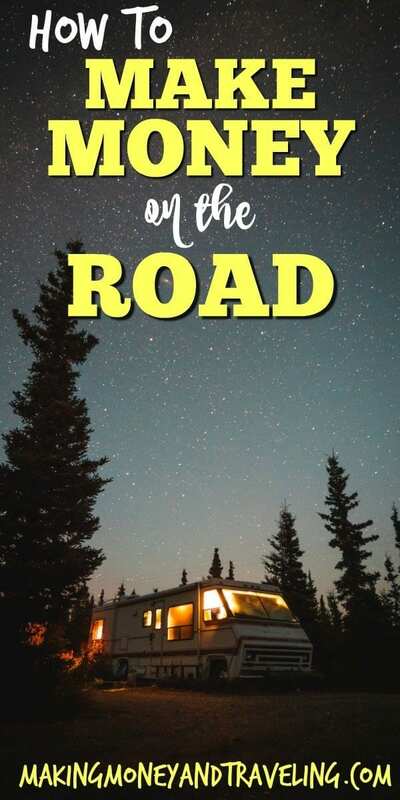 Mobile RV technicians are always going to be in demand, and you can learn how to make money on the road as an RV Tech with the RV Tech Course taught by RVer, Terry Cooper. As a bonus, you’ll never have to hire a contractor to deal with your RV maintenance woes again! Amazon Camperforce is a type of workamping situation where you are hired to work in one of Amazons warehouses during busy seasons and you are put up in an RV park, usually with full hook-ups. These jobs can be physically draining, but they pay a lot in a short amount of time. Learn how to make money on the road with Amazon Camperforce here. Another travel job that can be considered a workamping position is the sugar beet harvest. The sugar beet harvest is a short term high paying physically demanding job that happens once per year in the northern US. Workers of the sugar beet harvest will be working outside, sometimes in inclement weather, but for a short period and earning high pay. Learn how to make money on the road working the Sugar Beet Harvest here. Coolworks prides themselves on listing jobs in great locations. Coolworks lists jobs to make money on the road at resorts, summer camps and everything inbetween. You can find jobs in different seasons here on Coolworks at many different locations and vacation destinations. Check out Coolworks here! Don’t underestimate Craigslist, especially as you’re traveling! As you find yourself in new locations, check out the local Craigslist ads under “gigs” – typically the jobs listed here last just a day or two and pay pretty well. You might find someone needing help clearing up their yard, a local event needing extra staff and more. Every year as the holidays roll around, retailers bulk up their staff with temporary workers to get them through the busy periods. Seasonal retail work can be a viable way to make money on the road if you’re prepared to stay in one place for a couple of months. Check Craigslist for these jobs as well as Snagajob, Indeed and Monster job boards. Do you have any previous experience working in the service industry? Even if you don’t, this could be a good option for you to make money on the road. The service industry, or restaurants and hospitality, has a very high turnover rate which means they’re always looking for new people. Depending on how long you plan on staying in one place, you can pick up a job as a server, cook or dishwasher and make a decent amount of money in a small time frame. Fairs and other large events like arts and craft shows that come to town for a few weeks at a time are always going to be hiring extra staff to get through the event. You’ll find these jobs on Craigslist and other local job boards. Expect Fair and Event jobs to be fairly physically demanding, but they pay pretty well. Backdoorjobs.com has a variety of short term job adventures for travelers and outdoor enthusiasts. They have adventure, wilderness, environmental and outdoor, farm and mindfulness jobs listed and updated often in their directory. You can make money on the road and still live adventurously! If you like any of these things, give them a look! The National Park Service has temporary jobs every season in more than 400 National Parks and offices. Working with the National Park Service helps ensure the parks stay open, operating, clean and safe for everyone to enjoy our protected spaces. To learn more about working for the National Park Service, click here. If you like to stay in one area for a good amount of time, apply to work at a Thousand Trails Resort. Thousand Trails Resorts are run by Equity Lifestyle properties and are always hiring for various positions at various resorts throughout the year. Learn more about working at Thousand Trails here. Have you worked as a mechanic, carpenter, plumber, electrician or other type of contractor? Share your trade with the world! By utilizing your existing skills, you can use your trade on the road to help other travelers and people in the local areas that you visit. You can market yourself in Facebook groups, on Craigslist and by putting decals on your vehicles with your services and phone number. Some people travel around and earn their income as a pet sitter. You can sign up to be a pet sitter with Rover, or create a personal brand. These opportunities can be found on places like Craigslist and local Facebook groups, and give pet owners peace of mind when they can’t be home. The gig economy is here, and it is thriving. The gig economy is the move from traditional employment to that of freelance, independent contractor type positions. With this shift in economy come giants like Uber – where the driver gets to use their own vehicle, set their own schedule, and choose who they want to pick up. Several gig-economy start-ups allow you to work for them from town to town. Roadie is a gig-economy opportunity like Uber but instead of transporting people, you transport items. Roadie can be cross city or cross country transport, and you’ll be compensated for your work. This is a great opportunity for travelers who are already traveling anyway… might as well get paid for it. Learn how to make money on the road with Roadie here. Door Dash is another gig-economy opportunity where couriers deliver food to recipients. I drove for Door Dash when I lived in Dallas, and there was quite a bit of work available. Door Dash is currently only in large metropolitan areas, but it’s pretty simple to get started. You sign up and once accepted, you go to a short orientation in the closest city to you. Once you’re set up as a driver, you can start taking deliveries. How much you earn per hour is up to you and what times you work. Learn how to make money on the road with DoorDash here. Post Mates is yet another gig-economy opportunity where the courier delivers food, groceries, alcohol… almost anything but people. Post Mates is another service that is typically only available in larger cities. To get started with Post Mates is similar, and to learn more about it click here. Uber – the one that started it all. As an Uber driver you’re basically like an independent taxi driver. These jobs are also only available in the larger cities and since you’re transporting people, the requirements are a little more stringent but it’s not hard to get approved, nonetheless. To learn more about driving with Uber, click here. Earning income on the road looks different for EVERYONE. There are some nomads simply selling crafts at roadside fairs, beaches and on social media. 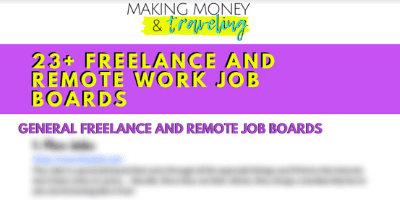 There are nomads making a full-time living from blogging or YouTube, and there are nomads making their living from labor and workamping jobs. No two nomads are alike, and no two nomads income is alike. The important thing to remember is that no matter how you want to do it, YOU CAN. This is a lifestyle of choice – everything from choosing where to go, how long to stay, and how you earn your money. Any way you want to do it can and will work – believe in yourself and in the process. Do you make money on the road in a different way? Let me know in the comments!